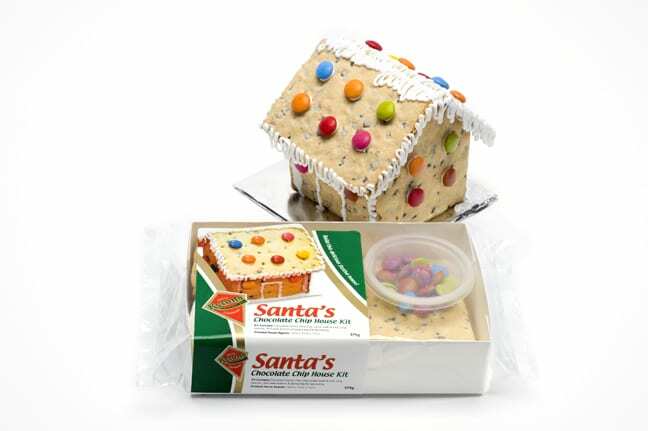 Kytons Santa Choc Chip House kit provides you with everything you need to construct this cute little choc chip house. The kit comes with instructions, but we have also provided them below as well as an instructional video to inspire you. We hope you enjoy constructing and decorating Santa's House! Continue mixing until icing is smooth and holds a peak (1-2 minutes). Use the icing to stick smarties on or let your imagination run wild with other lollies, sprinkles or chocolates. 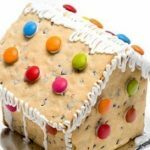 You may like to use icing to add things like a door/window or even snow dripping from the rooftop. If you wish to keep/display your house for a while before eating it, we suggest you leave it for a day to dry then wrap it in cello or put in a sealed container. Tip: great gift for grandparents as a Christmas present made by the kids.